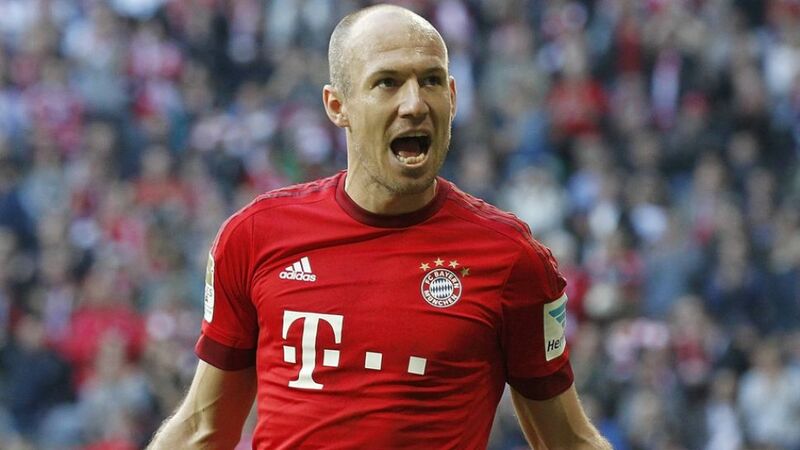 FC Bayern München winger Arjen Robben was pleased with his side's performance in the 4-0 victory over VfB Stuttgart, but felt he could have made more of the opportunities that fell his way at the Allianz Arena. Arjen Robben (Bayern winger): "We played very, very well in the first half and made the most of the space afforded to us. I didn’t stick away all my chances today, which is annoying, but perhaps I’m saving myself for more important games." Pep Guardiola (Bayern head coach): “I’m very happy with the way the team approached the game and the great performance they put in. We were up against a side that defend aggressively and play in a way that I admire. I like how they play football and I’m sure they’ll stay in the league. Joshua Kimmich was unbelievable today. He deserves more game time." Christian Gentner (Stuttgart midfielder): "Considering the form we’d been in, the first goal really shouldn’t happen. Conceding that goal threw our plans into chaos and after it we hardly got in the game. We made too many mistakes and gave them too much space." Timo Werner (Stuttgart forward): "We gave Bayern what they wanted in the first half and that was space, and that made it too easy for them. After a game like this, there are a few things to work on. We’ll do that and hope to put things right in our next game against Augsburg."